Back in 1989 Jesus Jones released their first album, 'Liquidizer', which launched singer/songwriter Mike Edwards into the realms of super-stardom. 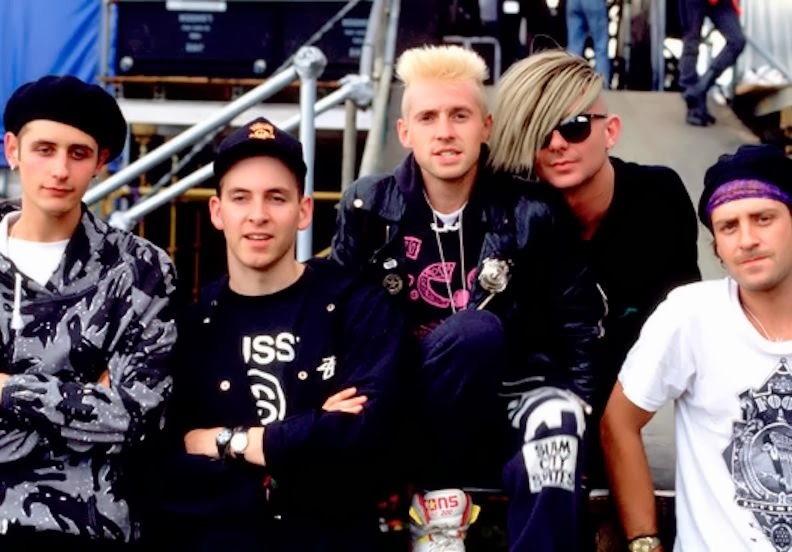 2 years later Jesus Jones released 'Doubt', which confirmed their position as the number one alternative dance/techno group named after a religious icon. 'Perverse' followed in 1993 and this lackluster release signaled the decline of Mike Edwards and Jesus Jones. Three more album releases followed but nobody, including Mike, even knows what they were called. Mike managed to eek out a small income from royalties from 'Real, Real, Real' and 'Right Here, Right Now', but it wasn't enough to keep the big house he bought when he was an International Bright Young Thing. Mike finally turned to that other 90's fad, fitness and became an instructor at a gym to pay the bills. While this was enough to stop his home being repossessed he had to sell all of his furniture and memorabilia, including 2 gold records from the good old days. We decided to help Mike out by making him our first Celebrity Panhandler, so that he could earn a bit of spare cash. While the term panhandling is not truly accurate, most Americans do not know what the British term 'Busking' means. 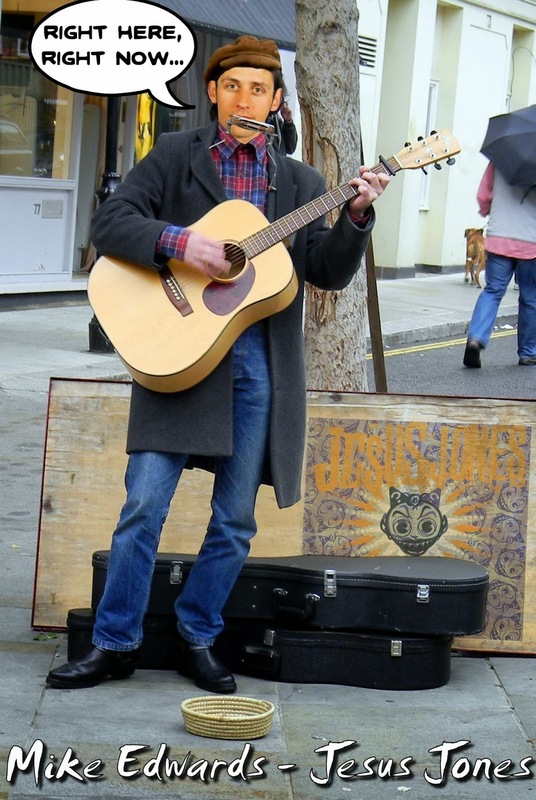 A busker is a musical street performer who accepts tips in reward for playing the guitar, usually quite badly. What are your memories of Jesus Jones? Did you turn up the volume listening to Doubt to see if it really did contain extreme noise which could damage your musical equipment?